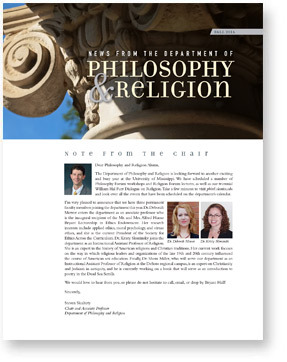 I received my Ph.D. in Religious Studies from Indiana University in 2001 and joined the University of Mississippi faculty in 2003. I specialize in classical and medieval Christianity and Islam, with interests in Merovingian Gaul, Shi`ism, and gender studies. 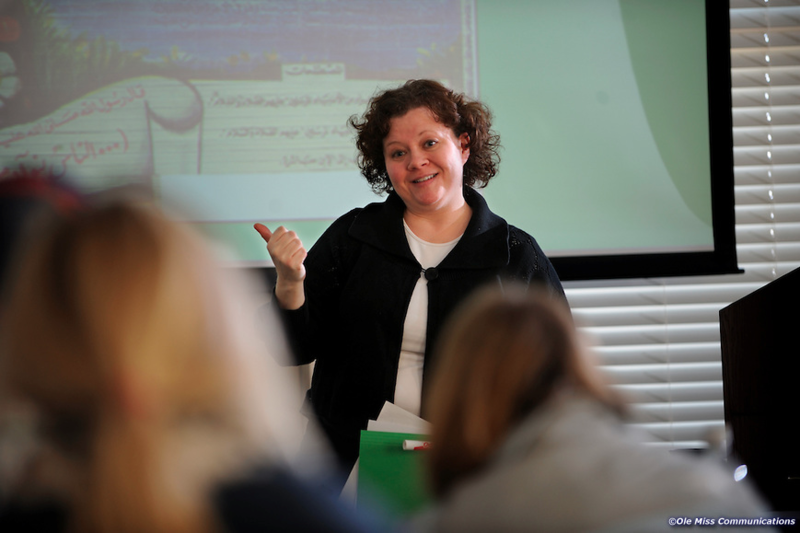 I teach a wide range of classes within the department, covering both Christianity and Islam. Some courses, such as Western Mysticism and Abrahamic Traditions, allow for exciting comparative work, which I particularly enjoy. One of my favorite assignments, for example, is to compare the story of Abraham’s near sacrifice of his son (Isaac/Ishmael) by reading the related scripture and traditions of Jews, Christians, and Muslims. With this one narrative, students are able to explore the significance of sacrifice, obedience, humanity, and mercy while engaging in inter-religious dialogue. Even though I am not an expert in eastern traditions, I also enjoy teaching our introductory level course (REL 101) which serves as a basic introduction to some of the world’s major religions. I am continuously amazed by the variety of ways human beings conceive of—and relate to—divinity. 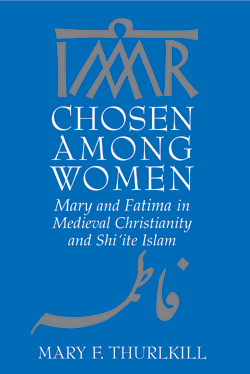 My first book Chosen Among Women: Mary and Fatima in Medieval Christianity and Shi’ite Islam, was published by the University of Notre Dame Press (2008). This is a comparative study of the Virgin Mary in medieval Christianity and Fatima (the Prophet Muhammad’s daughter), in Shi`ite Islam. I am working on a second monograph, also comparative in nature, entitled “Odors of Sanctity: Distinctions of the Holy in Early Christianity and Islam.” Herein, I examine the ‘odiferous landscape’ of the Mediterranean world and trace how Christians and Muslims utilized scents to create sacred space and identify holiness (and sin).